PRAYER PROMPT ••• Sitting still isn’t easy for anyone. Ask anyone who has spent 30 seconds with a toddler and you know that sitting still isn’t something that comes naturally… even many adults struggle with it. Sitting still is a learned behavior and it’s one that some spend a lifetime trying to perfect (I’d raise both hands here, but I’m trying to type). But the Bible tells us to sit still because often, when we rein in our restless energy and get quiet, that’s when we can hear the whispers of God. 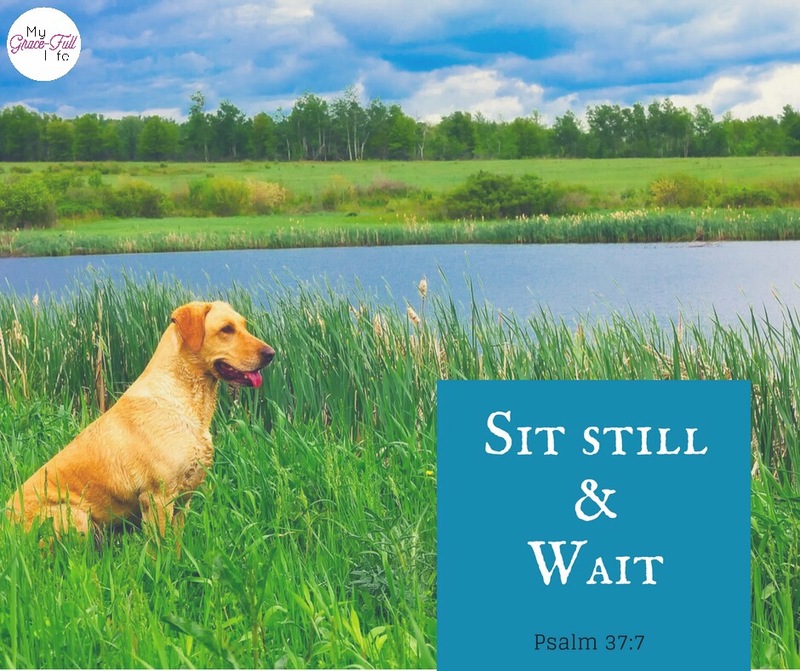 Besides being told to sit still, the Bible also tells us to wait. Wait for God’s plan and His timing. This is so much easier said than done! If you’re like me, you have a “shove over and let me drive” mentality that makes sitting still and waiting very difficult. But when we obey this instruction, great things can happen. However, our fidgety, impatient behavior, can interrupt or delay the plans God has for our lives. And He has great plans! Pray today that God will help you to sit still and wait. Ask Him to show you how to sit still so you can listen to Him, and wait for His timing. Great blog post! Jeremiah 29:11 is my favorite bible verse. In fact, I just bought a ring with this verse on it. It reminds me that God does have a plan. Even if I don’t know it yet, I know he does. Previous Previous post: 4.17.2017 Prayer Prompt: Is It a Sin to Cuss?